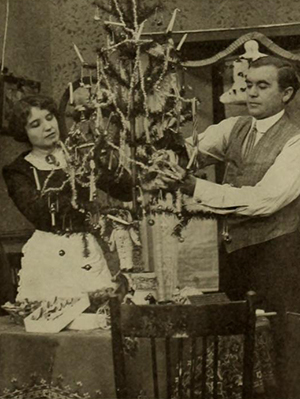 This entry was posted in 1890s, 1900s, 1910s and tagged christmas, christmas films, christmas movies, cinema, classic film, classic movies, d.w. griffith, early cinema, edwardian, film history, george albert smith, georges melies, melies, old movies, thomas edison, trick film, victorian by Nitrate Diva. Bookmark the permalink. Wow, what a treasure trove. Thanks for sharing! An excellent list! Last year I watched A Trap for Santa Claus and The Night Before Christmas on Christmas Eve itself. I’m thinking it’ll become a tradition this year too. Oh, and I also watched The Insects’ Christmas–the stop motion is great, as all of Starevich’s work is…and it’s also unintentionally creepy, like most of Starevich’s work is. 😀 …I don’t think it was the last film I watched before going to bed!